The Buffalo Bills are ready to get back to their roots and take their team to the Super Bowl. It’s only fitting true fans should be ready to watch them take on the 2018 season with matching gusto. Fortunately, we’ve got the three best ways to watch the Buffalo Bills served up and ready to go. CBS is where it’s at for everything Buffalo Bills related. The station will be hosting 13 Bills games, with ESPN taking over for week 8 and FOX hosting weeks 9 and 15. Let’s get down to brass tacks—when it comes down to it, these are all great options for watching Buffalo Bills football in 2018. But some of them are just a bit better than others, and we’ll tell you why. DIRECTV’s CHOICE™ package is for fans who bleed Buffalo blue on any given Sunday. It comes with NFL SUNDAY TICKET included for your first season, which means you can watch back-to-back Bills action to your heart’s content. NFL SUNDAY TICKET is an opt-in additional service that’s included in your first year with DIRECTV’s CHOICE package. It gets you every out-of-market game every Sunday all season long. Pretty sweet, right? You can basically tailgate from the comfort of your own driveway. Here’s a heads up for big fans of NFL SUNDAY TICKET. It’s not included in the price for the second year of your two-year contract. Yeah, what a bummer. It’s valued at around $293 a season, so, if you don’t want to see that large chunk on your bill come your second year’s NFL season, make sure to cancel ahead of time. Like we mentioned briefly earlier, DIRECTV requires a two-year contract if you want to sign up. Your first year will be peppered with perks like NFL SUNDAY TICKET and three months of HBO and SHOWTIME at no extra cost. But once your second year kicks in, you’ll notice a few changes. The biggest change is that your bill will go from $45 a month to $105 a month. Ew. No one likes rate hikes. But before you run and cut the cord, take a second to look at the overall picture.  Even with the price hike, DIRECTV’s prices are about the same as other satellite services once you average them out across the two years. The big difference is that you’ll get way more football with DIRECTV. So you’ll just have to decide if that’s worth it to you.  #2 PlayStation Vue: Gaming in more ways than one. There are two huge perks to this service: unlimited DVR with the option to sign up for more football at your leisure. PlayStation Vue is where it’s at for all things streaming and football, and you can check it out yourself. Head on over to PlayStation Vue’s homepage and check out its five-day free trial. Let’s clear up any doubts you may have right out of the gate: you don’t need a PlayStation to get PlayStation Vue. With that out of the way, it’s important to know that PlayStation Vue is a livestreaming service, so it uses your internet connection to let you watch your favorite channels. PlayStation Vue also has one of the most wicked DVRs of the streaming services. It has unlimited storage—except for a pesky expiration date. Wait? What? Everything you record will expire after 28 days exactly, so you can’t record the entire season. Still, a month’s worth of football (or reliving great football plays) is better than none. Like any streaming service, PlayStation Vue lets you customize your plan to your liking. More importantly, it lets you add more sports to your liking. It has a sweet deal where you can add its “Sports Pack” for $10 more a month, which includes the NFL RedZone. That means you can watch every touchdown, every Sunday. It’s no NFL SUNDAY TICKET, but hey, it’s an effort. Before you dive in, ready to watch your favorite team on your favorite local channel, there’s something you should know. PlayStation Vue has the lowest number of local channel affiliates available from any streaming service. That means you may not get to watch certain games, depending on where you live. Our advice? Check PlayStation Vue’s local channel availability on its website, and make sure you’re in the right area to get Buffalo Bills games. When it comes to incredible local channel availability and even better on-demand content, Hulu with Live TV is where it’s at. Hulu Live also gives you a couple more days of free trial goodness compared to PlayStation Vue. Go ahead and try out the 7-day free trial and decide if you’re team Hulu. 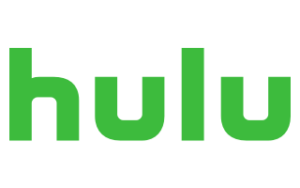 Hulu Live is the cheapest option at $40 a month and is more likely to get you every local channel available, thanks to it’s (nearly) 600 local channel affiliates nationwide. So for those of you who couldn’t sign up for PlayStation Vue—Hulu Live is there to comfort you. Local channels aside, Hulu Live also includes an on-demand library, with new shows like Casual and classics like How I Met Your Mother. But if you like a little more live TV in your diet, Hulu Live gets you a total of 59 channels on top of that huge on-demand library. Just don’t depend on your DVR to relive those live events too much. Hulu Live’s DVR has 50 hours of storage with the option to upgrade it to 200 hours for $15 more a month. That’s pretty expensive, even in the streaming world, so we wouldn’t suggest it. But, it’s your NFL season—live it the way you want. It’s time for the Bills to show who’s boss. The Buffalo Bills are poised to revive their tradition of victory, so make sure to not miss a quarter of this season’s explosive offense. All you need now is a service that’s in it for the long haul like you.